Sadiq Khan (pictured, right, leaving his home this morning) was officially declared the first Muslim Mayor of London last night after comfortably defeating Tory rival Zac Goldsmith (shown left in inset photo). 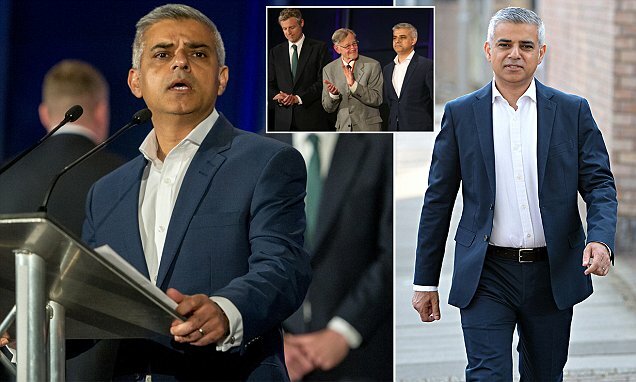 Sadiq Khan was officially declared the first Muslim Mayor of London last night after comfortably defeating Tory rival Zac Goldsmith. The result from City Hall was a glimmer of light for Jeremy Corbyn from an otherwise dire set of election results. A Twitter user @nangatse posted this..she claims she was ridiculed in school yesterday by a female teacher for indecency. 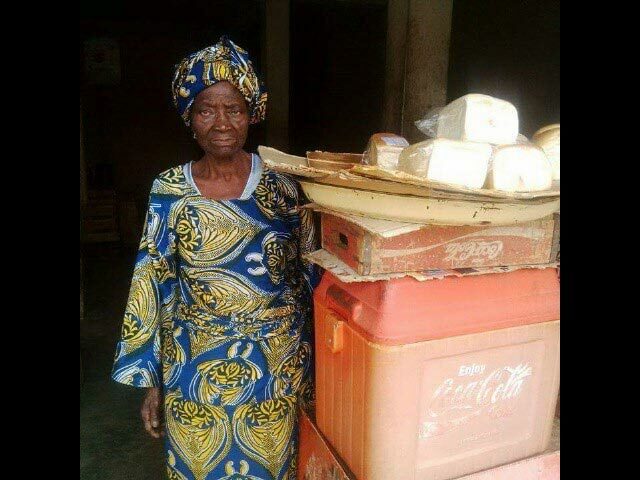 Mother of Rashidi Yekini, the first Nigerian player to score a goal at the world cup, Sidikat Yekini was spotted selling bread as a means of livelihood in Ira Town, Kwara State of Nigeria. These photos also reveal his house in Ibadan, Oyo State, abandoned by relatives. The house is locked, unkempt, an indication that no one lives there. 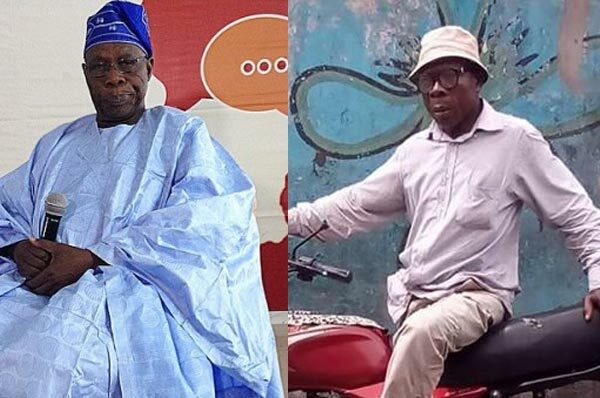 Former president Olusegun Obasanjo's look-alike was spotted on a commercial bike in Delta State capital, Asaba. Don't they look alike? Domestic violence is not something any woman or man should have to endure. This is the story of Ronke Bewaji Shonde. She was beaten to death by her husband yesterday morning at their home at Tiemo Crescent off Awori street in Egbeda Lagos, and her husband, Lekan Shonde, is missing. He is believed to have beaten her death during a domestic dispute. 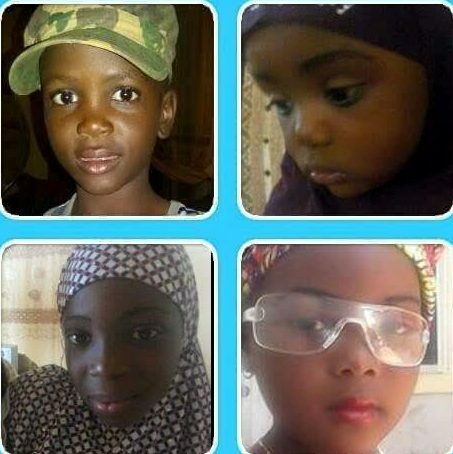 A family friend who reported the case said, Ronke and Lekan had a fight in the early hours of yesterday, while their kids were sleeping. One neighbor later said he heard noise coming from their flat early in the morning but didn’t think it was something serious. Yesterday, officials of the EFCC raided the headquarters of Access Bank Plc. and Sterling Bank of Nigeria, in Lagos, and arrested the bank’s MDs, Herbert Wigwe and Yemi Adeola respectively. EFCC said they traced more than $88m to a hidden account controlled by Yemi Adeola. An EFCC source told Saharareporters that the money was transferred to Adeola from Fidelity Bank of Nigeria, whose MD, Nnamdi Okonkwo, was last week arrested by the EFCC. LagosToday! Suspected Suicidal Man Climbs A Live Wire Pole in Lagos And Nothing Happens"
Following the serious drama which happened today involving a suicidal man who climbed an electric pole at Lekki area in Lagos, the current power condition in the country which is growing worse -has been called into question. See what a twitter user posted on his timeline concerning the issue. Twin girls who were born as triplets but are joined at the head and share a skull may soon be separated in a life-changing operation. 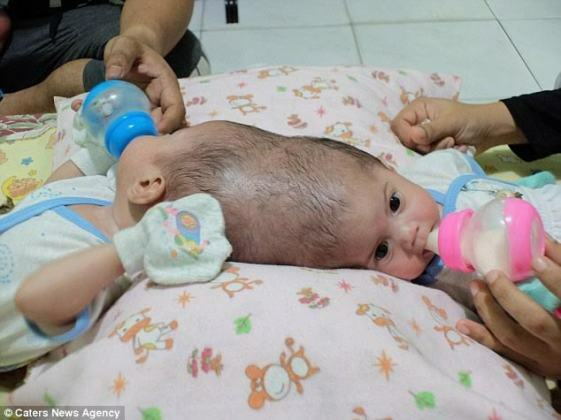 Their mother, Siti Nuryaningsih, actually gave birth to triplets but the two girls who have been named Nadira Alifa Putri and Nadiba Aisyah Putri, were conjoined sharing a skull but not a brain while their sister was perfectly fine. Trudy Ali-Balogun, 55, used her role as a £25,000 a year housing officer at Southwark Council, to help process 24 bogus homelessness claims. She was paid a £2,000 bribe for each application she approved and treated herself to holidays around the world. She approved false birth certificates for children who never existed, as well as made-up wage slips, bank statements and fake foreign passports. She was jailed for 5 years on Wednesday while fraudsters who benefited from the scheme: Biayo Awotiwon, 47, and Adeyemi Oyedele, 48, were given 5months each. EFCC on Thursday May 5, 2016 arraigned one Irene Okeoha before Justice S. C. Amadi of the State High Court, Port-Harcourt, Rivers State on one-count charge of stealing to the tune of eight million naira (N8, 000, 000. 00). Okeoha, who is the customer service manager, Ecobank Plc, Hotel Presidential branch, allegedly defrauded the bank of the sum of eight million naira. THE two sisters of a man who died after being shot have made a heartfelt appeal for those responsible to come forward. Rukie Ware and Zainab Raji made their emotional plea as the Met police offered a £20,000 reward for information leading to the arrest and prosecution of those responsible for 21-year-old Ola Raji’s death. Ms Raji said: "To many people Ola was just another boy or statistic but to us he was so much more, so much more. "He is a son, brother and grandson and very much the heart of this family." Ms Ware said: "We still don’t know what happened so if anyone does know anything that could help to give us a tiny fragment of peace that would be much appreciated, any knowledge they may have no matter how small they think it is." Ola Raji was cycling onto the East Surrey Grove Estate in Peckham at about 10.30pm on April 21 last year when he was confronted by two men. That confrontation resulted in the 21-year-old being shot and falling to the ground where he was stabbed. Detective Chief Inspector Will Reynolds, who is leading the investigation said: "Ola left his home at 10.15pm that night. He was shot at 10.30pm. It would have taken him a maximum of two minutes to get to East Surrey Grove on his bike so where was he? Did he meet anyone en route? Those 15 minutes are critical. I need that information and am desperate for someone to come forward to tell me. 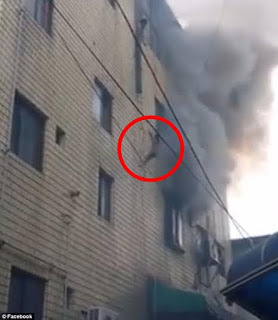 Precious Enyioko, 30, and her three children aged 1, 3, 4, were trapped on the 4th storey of a burning building in Pyeongtaek, South Korea, on the 30th of April, 2016, but miraculously survived without injuries. 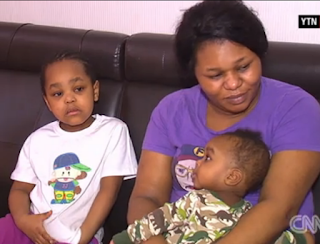 Precious drew the attention of onlookers by dangling her 1-year-old baby through the window. She dropped the baby to the crowd after some U.S Airmen persuaded her to throw the kids. She succeeded in throwing all the children, before she then leaped from the window, the only escape route. U.S Air Force Master, Sgt. Daniel Raimondo, said he was walking to dinner when he saw clouds of smoke and set off in that direction. Afeni Shakur Davis, the mother of one of hip-hop's most seminal and iconic figures, has died at age 69, the Marin County, California, sheriff's office said Tuesday. Though she is best known as Tupac Shakur's mom, Shakur Davis also was a Black Panther as a young adult and an activist and philanthropist in her later years. Deputies responded to a family member's call reporting "a possible cardiac arrest" at Shakur Davis' Sausalito home about 9:34 p.m. Monday, the Marin County Sheriff's Office said. The former Minister of State for Education who was kidnapped last week Wednesday was rescued by the Lagos state police command yesterday May 3rd. Anisulowo said she lived on only water all through her stay with her abductors. She described the experience as terrible and dehumanising. 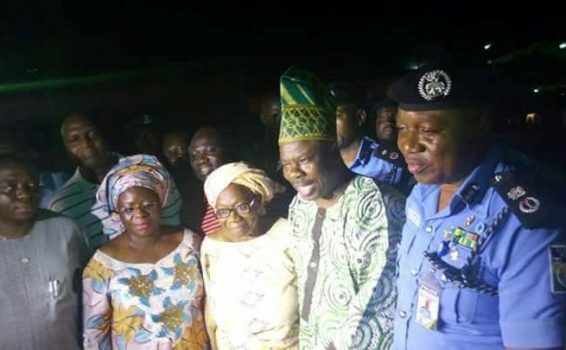 She's pictured with Ogun State governor Ibikunle Amosun and Ogun state Commissioner of Police. Nigerians resident in the city of London, United Kingdom today, May 3, took to the streets to protest the continual attacks on innocent Nigerians by Fulani herdsmen. The protesters who are in their hundreds were sighted in front of the British embassy, and had Nigeria’s flags and placards with different inscriptions. Gunmen at the weekend killed 83 cows at Adayi in Nasarawa Local Government Area of Nasarawa State. At Loko, the monarch claimed that about 20 people have been killed by gunmen in the last few weeks. The killings were suspected to be reprisals by gunmen who crossed over from Benue State. Although security agencies have stepped up investigation, the Fulani leader of Adayi area of Loko, Mallam Bideri Ahmadu, alleged that suspected Agatu gunmen from Benue State might be behind the killings. The traditional ruler of Loko, Alhaji Abubakar Ahmed Sabo, alleged that Agatu youths might have perpetrated the act. Leicester City sealed the Premier League title without even kicking a ball as Tottenham could only manage a draw at Chelsea on Monday night. The Foxes have sealed a momentous title triumph having been tipped by many to be relegated at the start of the season. From Jamie Vardy's goal heroics to Claudio Ranieri's managerial masterclass, from Riyad Mahrez's wizardry to Wes Morgan's stoic defending, Leicester have been the story of the season. 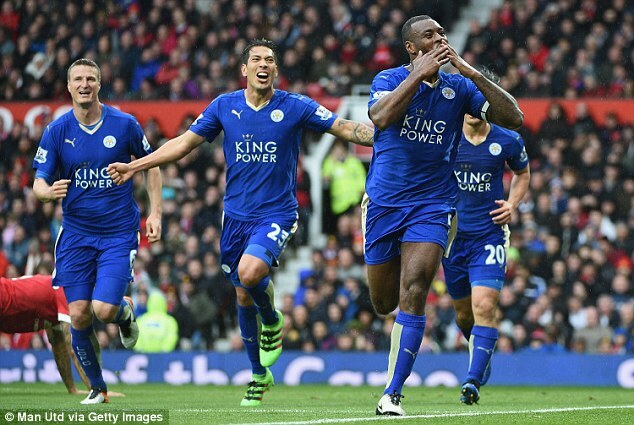 Here, Sportsmail has given each of Leicester's heroes a 10 out of 10 after a season the club will never forget. 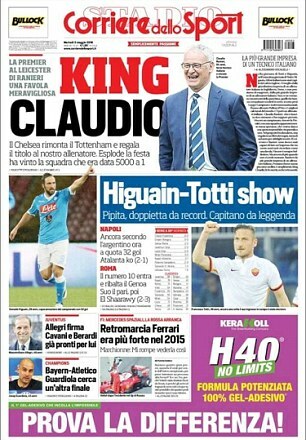 Leicester's Premier League title win is a 'miracle' according to papers in Spain, while Claudio Ranieri has been hailed as the 'king of England' in Italy. News of the Foxes' historic achievement is carried on the front pages of many of Europe's sports newspapers on Tuesday after Tottenham's draw at Chelsea confirmed them as champions. 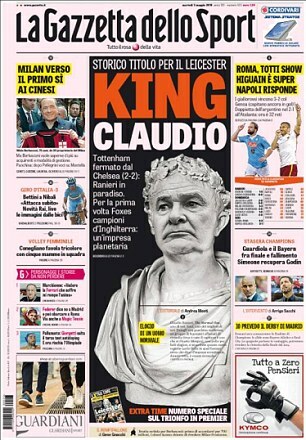 And Ranieri, who was born in Rome, is the focus of attention in his home country, with La Gazzetta dello Sport and Corriere dello Sport both using the headline 'King Claudio'. Unarguably a man of class, influential Osun monarch, the Ooni of Ife, His Imperial Majesty, Oba Adeyeye Ogunwusi, the foremost traditional ruler in Africa’s most populous nation, exudes opulence and royalty. Goodluck Jonathan enjoyed an outing with his kids, Ariwera (to his right) and Aruabai (left) at 805 restaurant, London. He was however mobbed by his Nigerian fans as he left the London restaurant. It was gathered that a group of gunmen killed 5 persons in Edoha, Rivers State, over the weekend. They were then beheaded and their heads dumped at a busy junction on Eketa road. According to sources, the attack was the aftermath of a lingering battle between two rival cult groups, the Greenlanders and the Icelanders. According to The Capital, Dr. Vivian Oputa ( pictured above ) is the woman Teebillz fathered his 4th child with. She is said to be a medical practitioner and specialist in aesthetic medicine, surgery, and dermatology, and is the medical director of DermaCare Medical Ltd. and Clinical Director of the Clover Medical Company Beverly Hills, USA). They had the child before he married Tiwa. Dr. Vivian, said to be in her 50s, is well known and loved in high society circuits. Also, TeeBillz has reportedly been sent packing from the home of BankyW, where he was taking refuge after being rescued from committing suicide on the Lekki-Ikoyi bridge. Everyone who watched that explosive Tiwa Savage's interview had nothing positive to say about the interviewer Azuka Ogujiuba of Thisday. In this report, MATHEW DIKE recounts the tragic end of late Mrs. Theresa Ode, a woman snatched from her husband by a local government chairman, who got her impregnated and abandoned her to die in a Lagos hospital during childbirth. A 62-year-old and her four young grandchildren have died after being swept away from their home during devastating Texas flash flood. A family member identified the victims as Lenda Asberry, Voniyaejah Johnson, 9, Devonte Johnson, 8, Von Anthony Watkins, 7, and Jamonica Johnson, 6. 'The water was up to the roofline of the homes and that's what prevented the people from being able to get away,' said Captain James Muniz of the Palestine Police Department. 'The water just came up too fast.' More than 7 inches of rain fell in less than half an hour on Friday night. The Mountain of Fire and Miracles Ministries (MFM) has posted the Prayer Programme for MAY 2016 on its INTERNATIONAL Website of the MFM. You can download and print out the PDF version from the site now at: MFM 40 PRAYER POINTS FOR MAY 2016 and that is where we serve you these “40 PRAYERS – Deliverance of My Money Pt. 2!”. The theme for MAY 2016 Power Must Change Hands (PMCH) prayer points is: ‘Deliverance of My Money Pt. 2’. 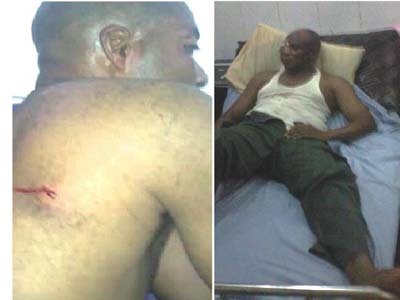 DEPUTY Governor of Edo State Dr. Pius Odubu, yesterday escaped death by the whiskers when gunmen shot at him. The incident happened at the secretariat of the All Progressives Congress (APC) in Auchi as the deputy governor was receiving a delegation. The attack took place a few minutes after Governor Adams Oshiomhole and Odubu left a party organised by Damian Lawani, representative of the Estako Central Constituency in the House of Assembly. Remi Fagbohun, who also acts as the couple's personal shopper has spoken out about their well-publicized ongoing marriage crisis on her Instagram page. "The hardest thing in the world to do is to keep quiet when your friends are going through something," she began. "Gosh... People have ZERO CHILL!!! The Internet has become an open spot where you can say whatever you want. Say things you know are not right! Be downright RUDE!! Laugh and make jokes at someone else's expense. Create Meme's... It's HARSH, It's cold and it's just wrong on so many levels. But it's the world we live in... A very sad one. Mavins First Lady and African Pop Diva, Tiwa Savage reportedly filed for divorce from husband Tunji Balogun last week Monday, citing irreconcilable differences and infidelity as cause for the suit, a source with knowledge of the matter authoritatively disclosed to The Herald. 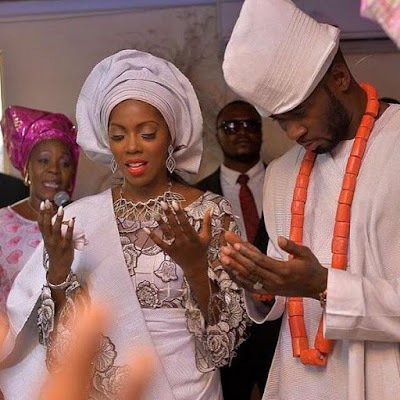 Tiwa Savage Is Wrong According To Yoruba Cutomary Marriage Act - Grandson Soyemi. The Act states that the children of the union between a husband and a wife belong to the father and if the father dies, the children belong to his immediate family. Tiwa's husband has all the rights over their child, according to the Yoruba culture and tradition, which are laws in Yorubaland. 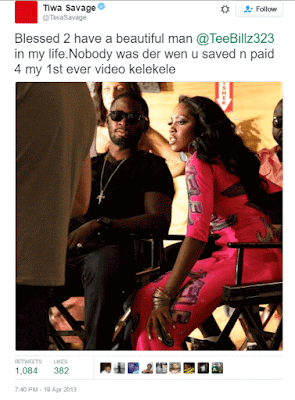 Tiwa Savage's marriage crisis with Teebillz started long ago before a public manifestation that shocked their fans. Tunji Balogun a.k.a Teebillz’s outburst Thursday, opening more cans of worms about his marriage to popular singer, Tiwa Savage, may be the last straw that broke the camel’s back. But before the public meltdown, there has been a deep crack in their marriage. It would be recalled that their three-year-old marriage has been having problems since last year when the celebrated singer sacked her husband as her manager. Since then, there have been whispers of things falling apart between them. Also, in 2014, it was rumoured that their marriage had crashed. A pointer to this, was when Tiwa failed to wish her husband a happy birthday on her social media page as it was part of her tradition.